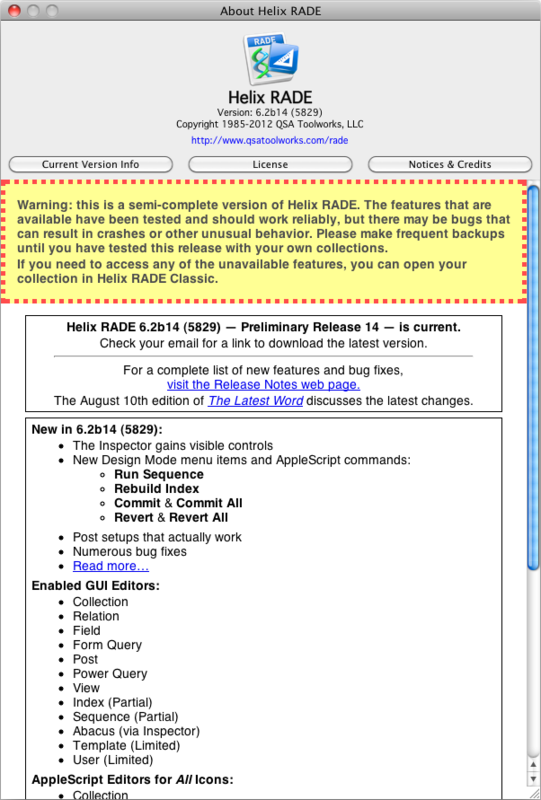 10 August 2012 — Excellent progress continues with the fourteenth Preliminary Release of Helix RADE 6.2 for macOS available today. To those of you who renewed your monthly subscription to the Europa Pioneer Plan, a $20* charge will appear on your credit card today. (If you joined the monthly plan after June 10, 2012, the monthly charge is $40.) When we charge your card, we send an email containing a link to the latest update, so if you don’t receive that email today, please contact us right away. To those of you with an annual subscription, look for an email an email containing a link to the latest update. You can also get it by logging in to our web store and checking your current licenses. If you haven’t received that email, perhaps you didn’t respond to our emails and calls asking you to renew for another year. If you didn’t renew or didn’t get the email, or thought you renewed but still have not received the email, please contact us so we can investigate. For those out there who haven’t joined us yet, you can still join the monthly plan, for an initial payment of just $120.00, followed by monthly payments of $40.00. Or you can pay $440.00 and get every update we release until May 31, 2013. We’re still committed to monthly releases, so that’s 9 more updates delivered to you automatically. In some ways, we have brought you that same sort of experience far too many times of late. Although the Europa Pioneer program is not explicitly a public beta testing program, it seems to have become one lately. Everybody reading this has heard us say far too often how desperately we want to give you the Design Mode editors you want, and in our desire to show steady progress, we have erred a few times on the side of hope, expecting that our code would perform flawlessly right out of the box. Warning: this is a semi-complete version of Helix RADE. The features that are available have been tested and should work reliably, but there may be bugs that can result in crashes or other unusual behavior. Please make frequent backups until you have tested this release thoroughly with your own collections. We were assuming that all the wonderful people who are supporting this effort were always properly backed up, and that they were diligently reporting on any problems they encountered. Assumptions can be dangerous, and that second assumption is the more dangerous of the two, because it assumes that ‘non-power users’ are always diligent to approach a new release of software with due caution. But as Apple’s recent release of macOS 10.8 (aka: Mountain Lion) has shown once again, most users simply update without considering the potential for danger. Unfortunately, with the last two releases of Helix RADE, reality intruded on our dream of smooth sailing. Preliminary Release 12 (June 8) was quite crash prone, and we scrambled to come out with a subsequent update to fix that. But then came Preliminary Release 13 (July 11) which contained a nasty bug that would cause post icons to silently come ‘unhooked’ from views. This was serious, so we pulled the software and sent an email to our Europa Pioneers warning them to abandon that release and return to safer shores. As with most bugs, we were able to find the problem and fix it in a matter of days, but further testing showed that the new posting setup code was flawed in many other ways as well. So we opted to not issue a patched version of Preliminary Release 13, but simply to forge ahead and fix the whole thing. If you have a Helix application that you use and depend on and you have not been running Update Collection and Helix Utility on a regular schedule, we offer you the sincerest possible congratulations on your incredible luck, and a great big shame-on-you for everything else. Of course we are pleased that you are a Helix user and have used it so long without ever having a problem, but that sort of trust should not be placed in any software, and if you are one who simply installs the latest updates and then makes no backups and does no maintenance ever again, we strongly encourage you to seriously rethink that confidence. Most Helix users depend on their applications the way they depend on a toaster, expecting it to ‘just work’ day after day. People who take the extra step of cleaning their toasters every once in a while get consistently wonderful toast, every time. Similarly, if you take the extra step of taking good care of your Helix collection, you are rewarded with the tiniest possible likelihood of ever coming to a nasty fork in the road. Those simple steps do not require a lot of time, but they bring a lot of peace of mind. If you tend to do things — like driving, or sleeping on a plane — on auto-pilot, this is one of those moments when you really have to make an effort change your standard operating procedure. A critical issue we faced just before we began the Europa Pioneer program was what to do about our Helix diagnostics. The clock was ticking on both Helix Utility and Update Collection, because they could not run under macOS 10.7 (aka: Lion) and later. The decision to incorporate the functionality of Update Collection into Helix RADE, Helix Engine and Helix Server was an easy one, but Helix Utility presented a different set of challenges. We like to think of the Helix Utility as a kind of ‘independent auditor’ who ‘looks over the books’ to confirm that everything is okay. But there are a lot of other functions that have found their way from the drawing board to Helix Utility since it was originally released as Helix Analyzer, and that list continues to grow. The steps are fewer and simpler, eliminating a few more valid excuses for not doing regular maintenance — and we have plans to make it even simpler for you in the future. Your routine is now shaken up. Sermon over. Back to business. What does Preliminary Release 14 bring other than a working version of what Preliminary Release 13 was supposed to do? Plenty. We start off with bug fixes. Last month we said we were going to spend this month pushing to fix as many bugs as we could. All in all, Preliminary Release 14 has about 50 distinct bug fixes, covering everything from the aforementioned posting issues to AppleScript and Inspector bugs. As the Preliminary Release 14 Release Notes page shows, there’s something in there for most everybody. The next thing we want to mention is actually the most delightful to behold. A lot of users simply did not get the visual nature of the Inspector, largely because you could not see where the various controls until you clicked on them. And you could only see one at a time, making it difficult to grasp the big picture. On the right are two screen shots of the Inspector. The first is how it looked in Preliminary Release 13 and every release before. The second is how it looks now in Preliminary Release 14. The editable text is easy to spot, the popups are obvious, the properties that lead into dialogs are clearly indicated with buttons, and properties that are improperly constructed are shaded in red. Be sure to click on one of these images, then use the left/right arrow keys on your keyboard to compare them at full-size. This is how we envisioned the Inspector all along, and we’re delighted that we can deliver it to you now. But like everything else in Helix 6.2, this is not exactly where we want it to be when we are done. There are a few visual anomalies, such as the fact that the vertical scroll bar — that appears if there are more properties than can be shown — overlaps the right edge of the popups and buttons. There were always places in Classic Helix RADE where functions we not so obvious, and you had to know the ‘tricks of the trade’ to do things that ought to be fairly simple. Preliminary Release 14 takes two of these out of the shadows and puts them right in the menu where they belong. Ask any veteran Helix designer how to rebuild an index and — after they’ve shot you an ‘everybody knows that’ look — they’ll tell you to open the index and click the directional arrow two times. Obvious? Hardly. Preliminary Release 14 does away with that bit of arcane knowledge adding a new ‘Rebuild Index’ command to the ‘Icon’ menu. This command works for both index icons and keyword fields. Simple and truly obvious. There’s also an AppleScript equivalent, if you’re into that. The last thing that we want to highlight is the restoration of the ability to run sequences from within Design Mode, with a great new twist. 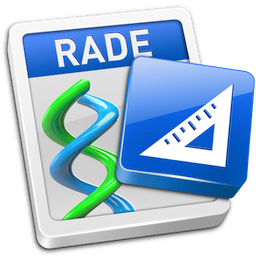 In the Classic Helix RADE days, if you wanted to run a sequence in Design Mode, you had to open the sequence editor and click the ‘Run’ button. In macOS Helix RADE, ‘Run Sequence’ is right there in the ‘Icon’ menu. All you have to do is select the sequence and choose the menu item. That’s the intuitive way. Now, here’s where we took it far beyond just another way to run sequences. 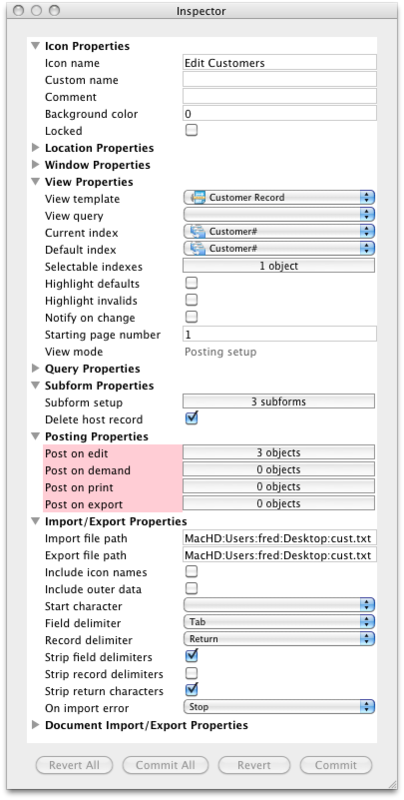 We also added the command to AppleScript, thereby providing a new feature that has been requested by users in one form or another for many years. That request is most simply described as the ability to run processes at a specific time, without needing a user to start it. Most often, the request is to be able to run a sequence late every night, perhaps to compile accounting data for the day, or to print reports that will be needed in the morning. Running these sorts of functions in Helix RADE is simply time-consuming, but in Helix Client/Server they can be maddening, as every client grinds to a halt while the process runs. As long as you supply ‘administrator’ credentials in the login line, any sequence can be run while logged in as any user. Of course, you still have to pay attention to form permissions, password security, and the like, but those are administrative issues you deal with either way. 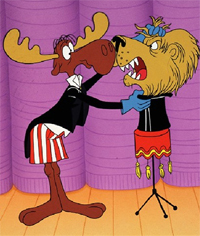 What we’ve done is removed the main impediment to making this sort of thing work seamlessly. Right now this only works in conjunction with Helix RADE, but when Helix 6.2 is complete, you will be able to do this from Helix Client as well. It will soon be possible to create a complete script that launches Helix Client, connects to the server, runs the sequence, and then quits when done, all without resorting to ‘kludges’ that have a nasty habit of breaking when an OS or software update is released. Another new not-quite-a-new-feature, but definitely a featurette, is that the ability to run a sequence via AppleScript does not depend on it being on a user’s menu, eliminating the potential for a slip of the mouse that grinds the office to a halt while the sequence runs. This little feature portends a new direction for Helix developers. Now, AppleScript not only frees you from dependence on Classic, but it provides a way for Helix to do things it could never do before. And if nothing else, there’s a very good reason to dust off your copy of Learning AppleScript with Helix, or to subscribe to it now. Last month we outlined where we expected to go for the next few months, and we are happy to report that we are still on track. If you haven’t renewed your Europa Pioneer Plan membership, please contact us right away. If you have tried and failed, tell us and we’ll fix it. If you are a Helix RADE user who has not yet climbed aboard, just waiting until all the features and functions you need are done, it only gets more expensive — in both time and money — not just for you, but for everyone, the longer you wait. Clamor for the View by Icon project continues to build. Don’t be deterred if this feature is important to you. Letting us know you are interested in helping does not commit you to any particular dollar amount yet. We’re still building the team that will bring this vital part of Helix back. If you’re in the camp that wants this feature restored, contact Gil.